This Eden Outdoor rug is made of Polypropylene. This rug is easy-to-clean, stain resistant, and does not shed. Colors found in this rug include: Multi, Blue, Brown, Cream, Gold, Green, Navy Blue, Orange, Red. The primary color is Multi. This rug is 1/4" thick. Made in Egypt, this Unique Loom Eden Outdoor Collection rug is made of Polypropylene. This rug is easy-to-clean, stain resistant, and does not shed. 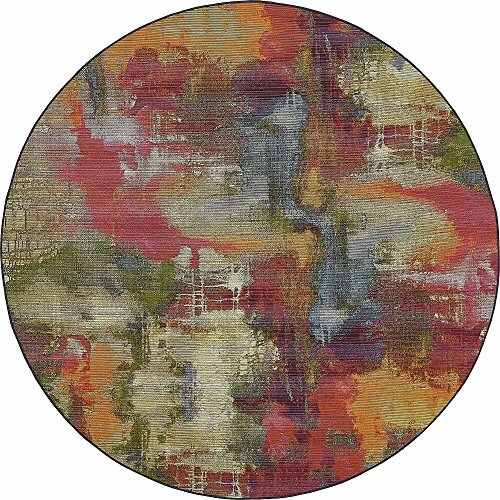 Colors found in this rug include: Multi, Blue, Brown, Cream, Gold, Green, Navy Blue, Orange, Red. The primary color is Multi.